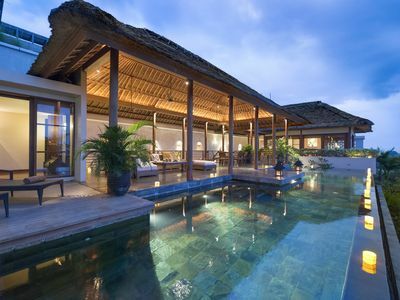 First impression counts! 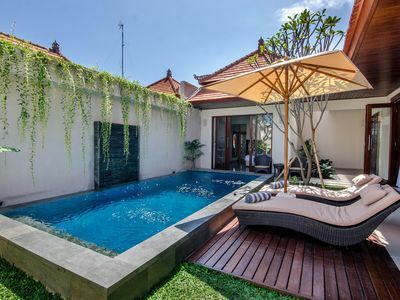 Welcomed by a massive lush garden-courtyard with an extra-long swimming pool (18m x 6m) in the center of it, you get an immediate sense of airiness and vast open space which flows seamlessly through this property at first glance. 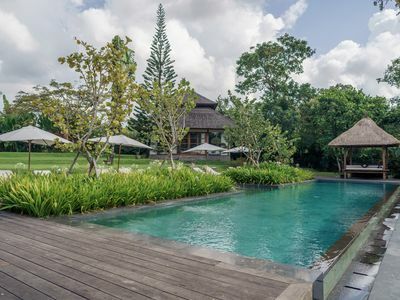 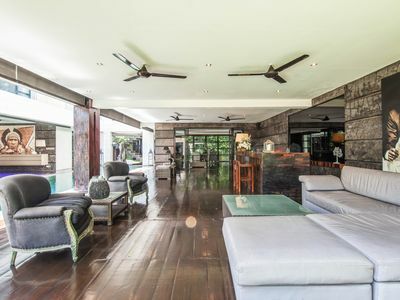 Inspired by traditional high-ceiling Balinese architecture, each villa employs teak wood and organic materials as its main building blocks, complemented by full length foldable floor-to-ceiling glass walls to allow fresh breeze and natural light to stream through all living spaces. 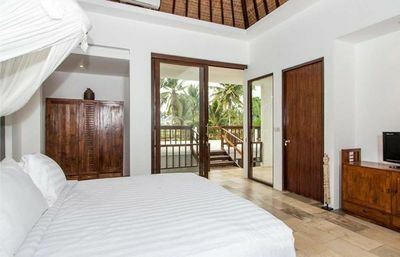 The earthy tones, remnants of nostagia and incredible craftsmanship are showcased in every room, from the intricate carvings on bedroom ceilings and bedposts, to the antique furniture pieces standing stealthily in the corner. 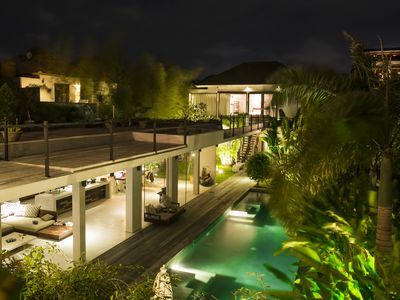 Two expansive living spaces, indoor and outdoor, are equipped with modern comfort, a pool table, a giant fish pond and a zig-zagging metallic staircase which leads to an extended indoor balcony with vantage views aplenty of the interior worthy of instagram postings. 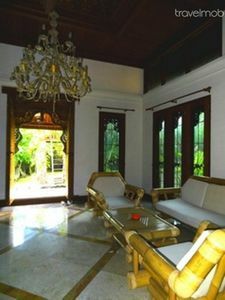 The meeting room is opulent and multi-purposeful, complete with a connecting press room. 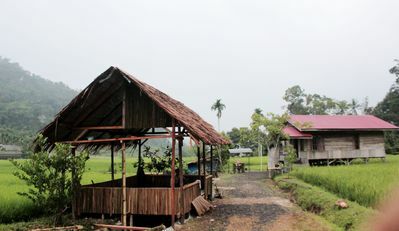 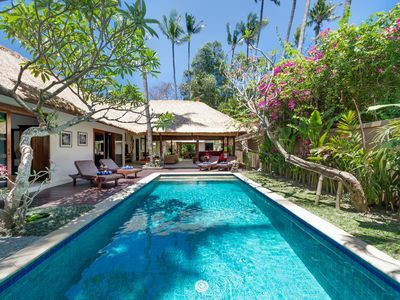 Berawa beach is a mere 15-minute drive away. 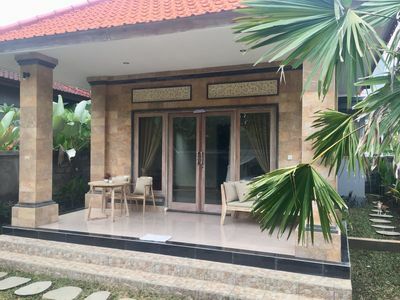 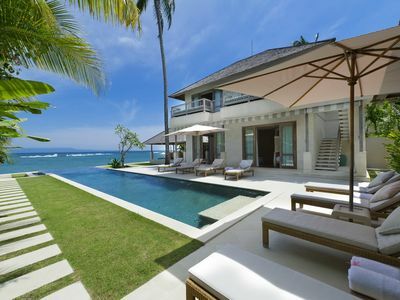 Stunning open plan 5BR villa set quietly amongst yet minutes to the beach! 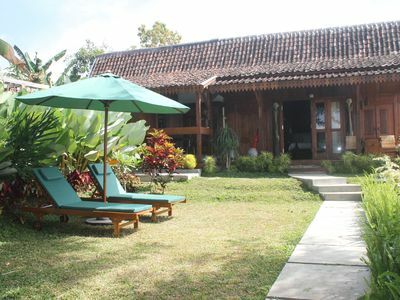 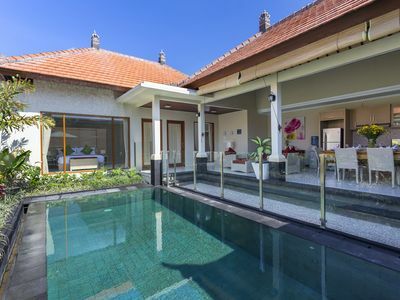 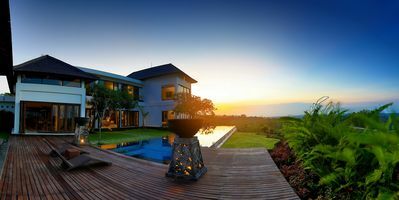 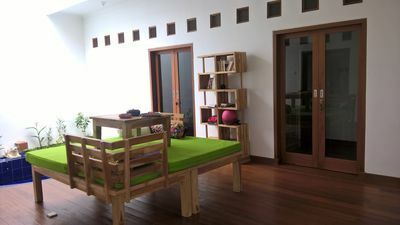 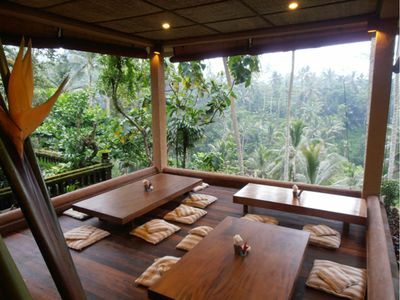 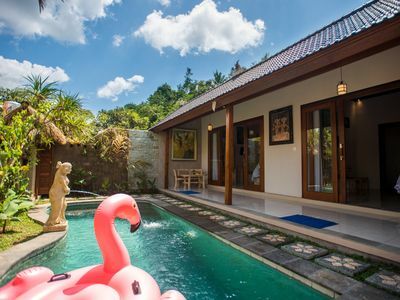 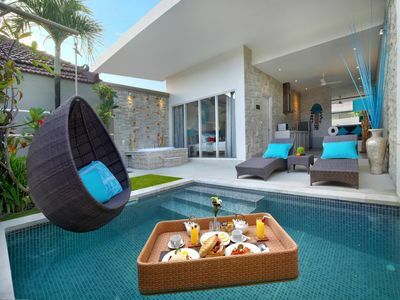 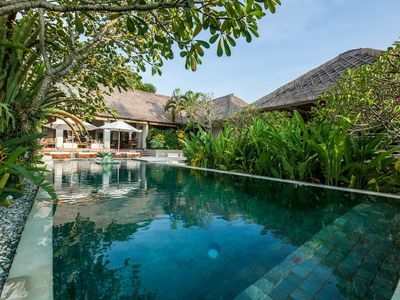 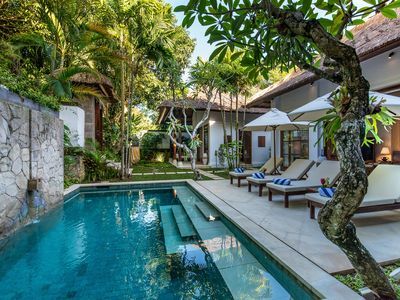 New villa "I LOVE YOU-III": inhale Bali vibe!